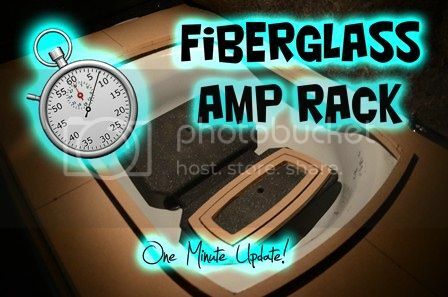 Fiberglass Amp Rack 101: Build a Custom Fiberglass Mold for Amplifiers, Every Step - Car Audio Fab - Car Audio Resources | The original Car Audio Forum. What’s up ladies and gentlemen of the car audio world? 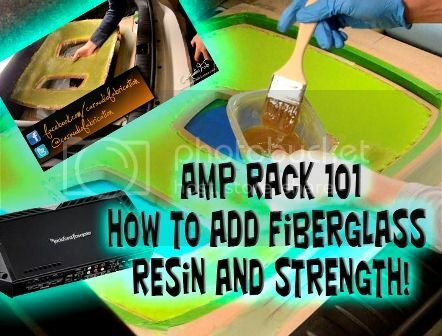 Today I bring to you the all inclusive Fiberglass Amp Rack 101 Lesson! Allow me to insert my shameless plug and say that if you enjoy any part of this tutorial, or learned something new, please post a comment, rank this thread, and share with your friends! Also I love when I get new subscribers on my YouTube channel! (www.youtube.com/caraudiofabrication ) Other than that let’s review what you will learn shall we? thumbnail, with a link to the video below it. Before we begin allow me to briefly outline the process that will be covered. 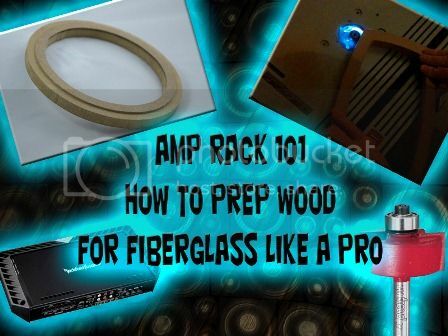 By understanding each step involved you are well on your way to an amazing fiberglass amp rack! Before you even cut your first piece of wood you are going to want to carefully consider your layout. First off most all amplifier racks should be designed with two pieces in mind. They are 1) The Mounting Structure and 2) the Beauty Panel. 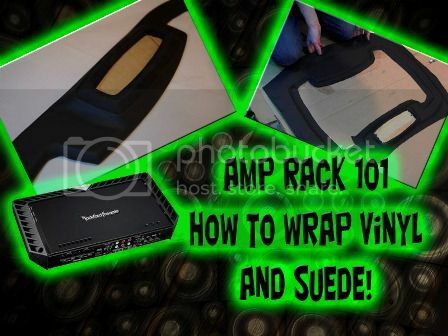 The mounting structure is what your amps and equipment will mount too and the beauty panel is the structure that will hide all the wiring and effectively show off your amps. Note that your amp rack could be designed that both these functions are in one piece, but in my case they are separate. Next you need to layout the equipment. To effectively do this take a picture of the bare trunk and sketch where each piece of equipment will be, and then what you want the finished product to look like. Luckily I have access to modeling software so I perform this step on a computer. The video shows my first step of the design. 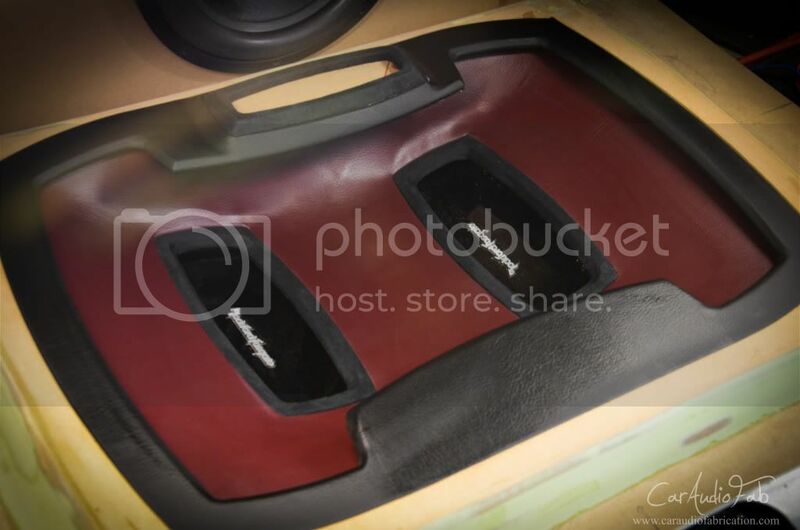 This is also a great phase to consider the materials you will use to finish the amp rack and their seamless integration into the vehicle. I strongly advise you to consider the “less is more” philosophy in this phase. Often times the best installs are those that are the most simple. Before continuing to your skeleton here is an excellent list of questions to ask yourself about your design to minimize issues throughout the build. ·	Have I accounted for enough room for all amplifiers, distribution blocks, equalizers/crossovers, and wiring? ·	How will the wiring reach my equipment? ·	Is there enough airspace around my equipment for proper cooling per the manufacturer recommendations? ·	Will my equipment be secure in the way I plan to mount it? ·	Can I easily access all fuses, and adjustments on the equipment? 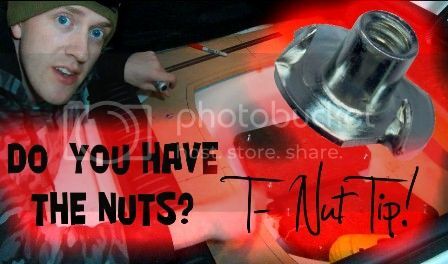 If the answers to the above questions are yes, lets continue onto making your wooden skeleton. When it comes to making the Beauty Panel skeleton you are going to want to utilize techniques like router tricks to make pieces that fit within one another perfectly. 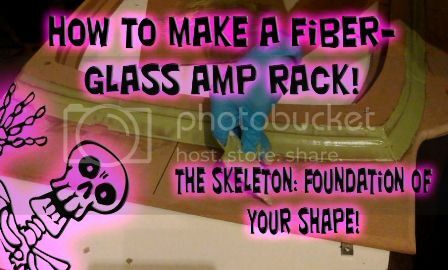 You will also want to use techniques that allow you to mesh similar pieces of wood into one another to create separate pieces of the amp rack so that the amp rack is an assembly, rather than one permanently conjoined part. 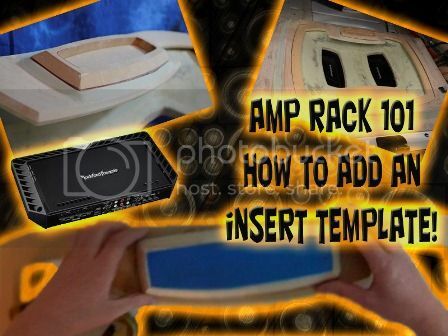 Having an amp rack that is multiple pieces that are joined together by bolts and screws is much more effective than an amp rack that is glued or otherwise permanently joined. You want to have access to the equipment. Once you have all your skeleton pieces built for both supporting the equipment and hiding the equipment you are going to want to prepare the skeleton for fiberglass, the professional way. Here is where the rabbeting bit and the router come into play. If there was ever one ‘most important step” within the process I would say this is it. This step is often skipped and leads to tons of more effort in the fiberglass stage. Pay close attention to the steps performed here, and follow them! Following the steps in the video will allow you to cut a perfect step in your skeleton pieces. 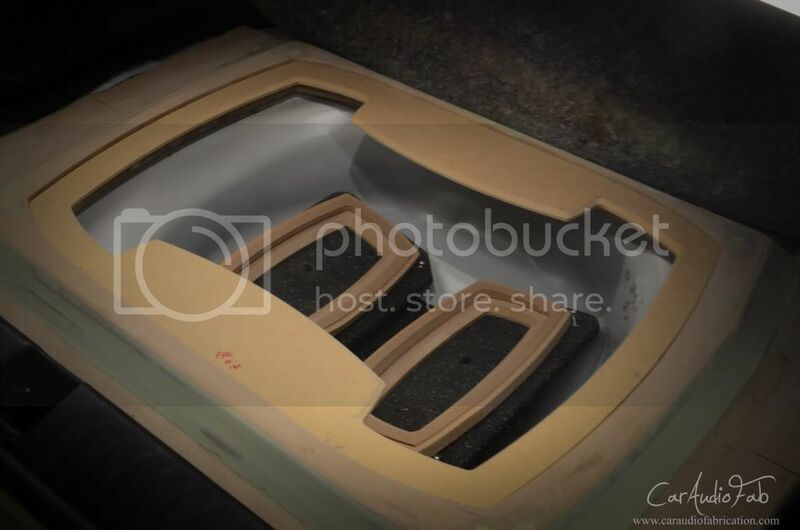 This step will lead to a flush fiberglass surface that is easier to sand and fill with body filler. Here is where your design will really start to become a reality. 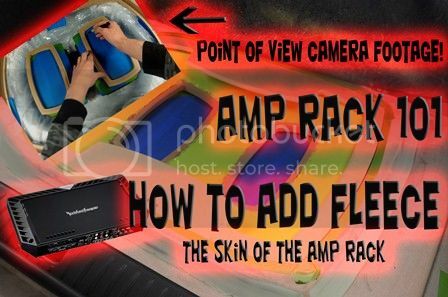 In this step you are going to stretch material and adhere it to the bounding surfaces of your amp rack. This is where properly preparing your amp rack skeleton will really pay off. Within the video you will see how I stretch the material properly in a manner that avoids sags and wrinkles, and also how to easily adhere the fabric and trim it perfectly. Upon completing the stretching of your fabric you are ready to move onto adding some fiberglass strength! Now that you have a super clean and functional fabric surface prepared it’s time to add some strength! 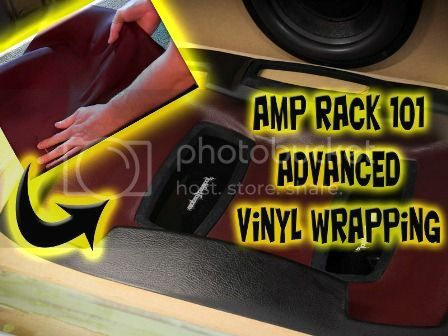 After all we want our fiberglass amp rack to last for years in the harsh automotive environment, so let’s get to work making it ready for the abuse! In this step you are going to learn to apply fiberglass resin to the fiberglass, you are also going to learn how to apply fiberglass chop mat. Though there are different techniques that can be used in this stage, this is the method I use and have never had any issues. Note that if you do in fact have access to the “rear” of the panel it is advantageous to apply the fiberglass mat to the rear. This allows for a smoother surface to sand later on, but in my case I did not have this option. People who are new to fiberglass are often surprised how simple this step actually is! Watch and enjoy! Milkshake: If you have a relatively horizontal surface you can use what is called a “milk shake” to get things nice and smooth. This is accomplished by mixing body filler and resin with a 3:1 ratio. 3 Parts body filler to 1 part resin. You then add the proper amount of hardener and MEKP that corresponds to the amount of body filler and resin used. Upon mixing you will note that the body filler will lay down extremely well, and be very level, the downside is that you cannot really do this on vertical surfaces, and the body filler also becomes a little more difficult to sand. Green Stage Sanding: When sanding body filler you want to be sure you are sanding in the “green stage”. What this means is you want to pay close attention to body filler as it is drying. 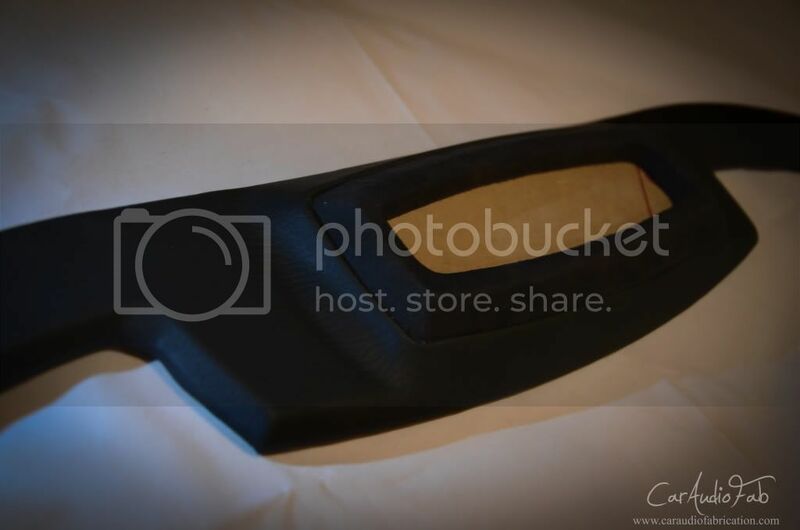 Every 5-10 minutes take a piece of sand paper and try sanding the body filler. 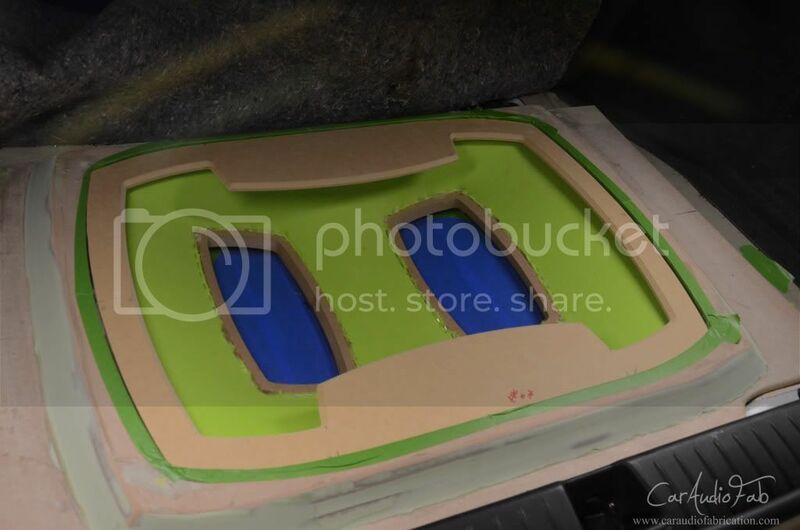 If the body filler still seems like “liquid” then it is NOT ready to be sanded. But if the body filler sands with a “foam-like” consistency, almost as if you are grating cheese, then it is ready to be sanded. You can really sand very effectively in this phase. This is also the key reason to purchase high quality body filler. With Rage Gold you will find the Green stage lasts for 20 mins or more. With Bondo brand… well there doesn’t seem to be a green stage. Note that in the video I am prepping for a vinyl surface, not paint, so I only sand up to 150 grit. If you were doing paint you would want to sand smoother for the primer application… but that is a different HowTo. Now that you have smoothed out your main surface it is time for a step that can really make your install look amazing, and help tie everything together. In my design you can see the shape that I utilized over the amplifiers. It is a rounded rectangle of sorts. 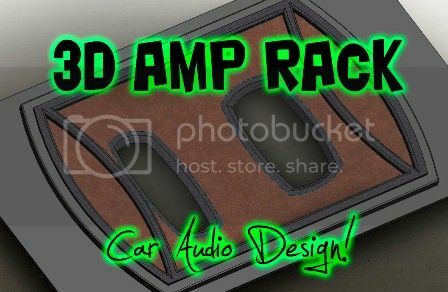 In order to make the entire amp rack look appealing I want to carry that design to each piece. In order to carry it to my amp rack “trim ring” I want to incorporate the rounded rectangle shape. I do this in the form of an “insert”, and what better to accent the insert than a piece of plexi glass that can be back lit, or have a logo applied. In this step I show you how through using router skills you can make an exact plexi glass shape and integrate it behind an insert. 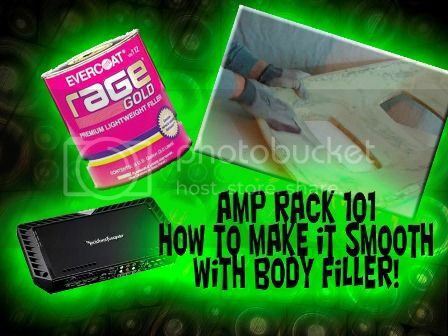 I also show you how you can use foam tape and body filler to make a perfect gap for the materials you will ultimately finish the amp rack trim piece and insert with. Big tips here are to use a high quality body filler (as you will likely be doing small detail sanding) and to make sure you use foam tape with enough thickness for the materials you use to finish the pieces. So it’s finally coming all together! 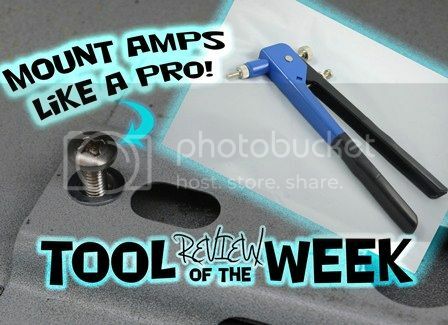 You’re ready to finish the amp rack off! In the first video you will learn how I wrap “basic” panels, which basically does not require the use of a heat gun, but requires you to rabbet the edges of the panel for a clean finish on the rear side. In the second video I will show you how to wrap more complex panels, which requires a more aggressive adhesive as well as the use of a heat gun when using vinyl to properly form the piece and avoid wrinkles. It is very important that you take your time in this step do not attempt to secure materials before your adhesive is tacky. If you try adhering the materials to early will pay for it later when the material pulls away from the panel. It is also important when wrapping a complex panel to utilize high quality glue, as I will recommend within the video. Once all your panels are wrapped you’re obviously ready to piece things back together. It is important to verify things are perfectly secure. The vehicle can be a very dangerous place in the event of an accident, so insure everything is held firmly in place. If you enjoyed this tutorial please comment below, if you utilize any of the methods in this tutorial please feel free to share pictures within this thread of what you made! I love seeing what my lessons have helped people create! If you have any questions please feel free to post below! Kerfing 101 - How to Kerf MDF for curved port applications!